A tiny story about how the world just perceives what it sees and understands. 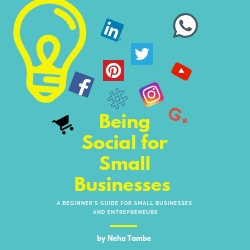 There are many careers or interests that the larger public might not be aware of, however, that certainly doesn’t mean that those avenues are any less. Do you know anyone who has chosen a path less trodden? Wow ‘Tiniature’ is a thing and I didn’t know. It’s a pretty cool concept and I loved what your blog captured too. This is a very interesting tiny story! I’ve read a few books lately that feature ethical hackers and it’s such an interesting world to learn about. I’ve not heard of #Tiniature before but it sounds like a great concept. That was a touching tiny story, love it. Tiniature is an interesting concept, makes me think of those Japanese haiku. I’ve never heard of Tiniature. Great concept. Nice short story! It’s funny how a perception of a person could be so different from reality. 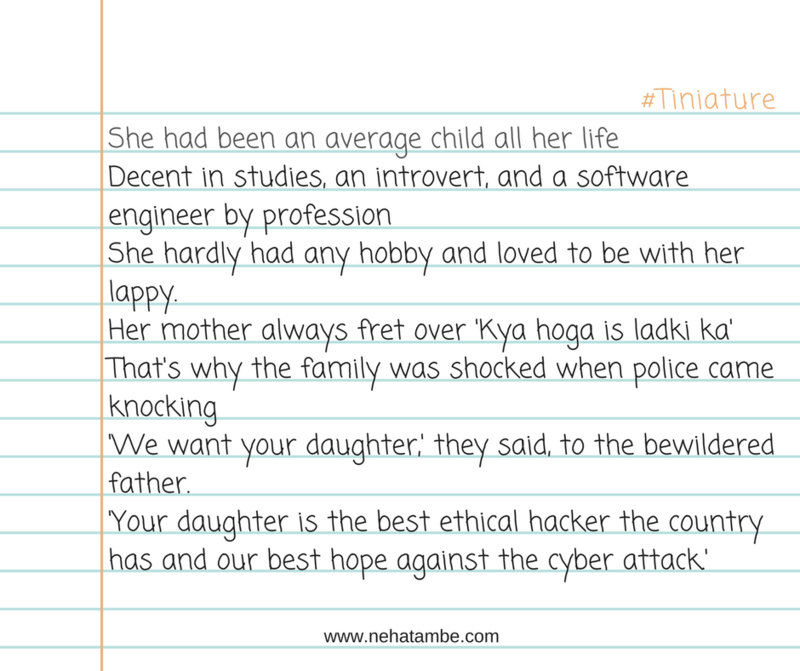 Tiniature- a Tiny Stories in Twitter! How cute and interesting is that! I love your tiny story about the Life of a Hacker. What a fun and creative idea! That little story certainly made me want to read more! I’ve never heard of Tiniature. Great concept. Cute story!! I think that as with anything in life there can be good things to do with those skills and bad things to do with those skills. And we gotta focus on the good things. I loved this tiniature and the twist at the end. It left me wanting to know more though. Was this autobiographic or just a work of fantasy? Either way I loved it! I’ve never heard of the ‘Tiniature’ so I’ve learned something new today, which I love to do ; ) like the little story of the life hacker doing good! thanks for sharing ! There are definitely jobs that people don’t often notice or talk about that matter. And I think being part of that kind of industry is something that shouldn’t make you feel inferior. Hackers though, I’m not sure because there are hackers that only do what they want to ruin others. Ethical hackers however always work with the law enforcement or help corporate’s plug gaps to secure their systems. Thanks Carol for sharing your thoughts.